Nike's partnership with Play Station doesn't stop with the PG 1. 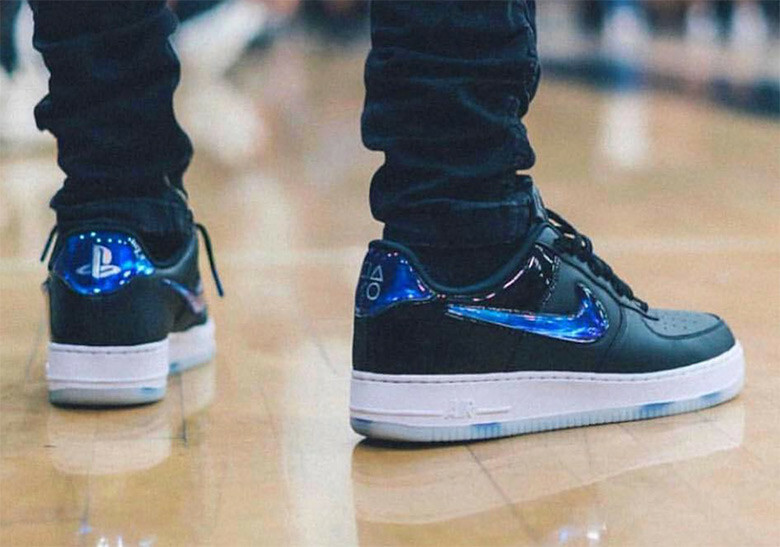 Here is an intriguing shot with the Nike Air Force 1 Low silhouette. Upper is made up of leather and patent leather combination in the midfoot/forefoot and heel respectively. The leather swoosh logo was replaced with a bluish jewel swoosh branding with the heel design contains the Play Station logo on the left foot and the face buttons (square, triangle, circle, x) on the right foot. The outsole is translucent with bluish tint although we cannot see if there is a design underneath it. This collaboration is said to release on June 11, 2018 just in time for the E3 conference which will take place in LA on June 12-14 so expect these to drop in limited quantities around that time.